Not only is it Friday's Feature day but it is also a giveaway!!! Thats right the fabulous Oia Jules is giving away to one lucky reader a pink agate chunky bracelet. I love mine and get tons of compliments on it every time I wear it. 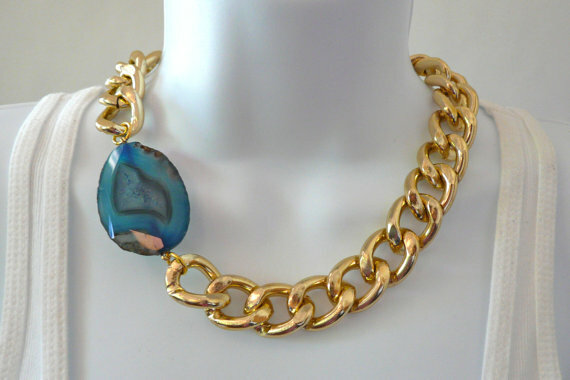 Modern, elegant jewelry ispired by the islands of Greece. 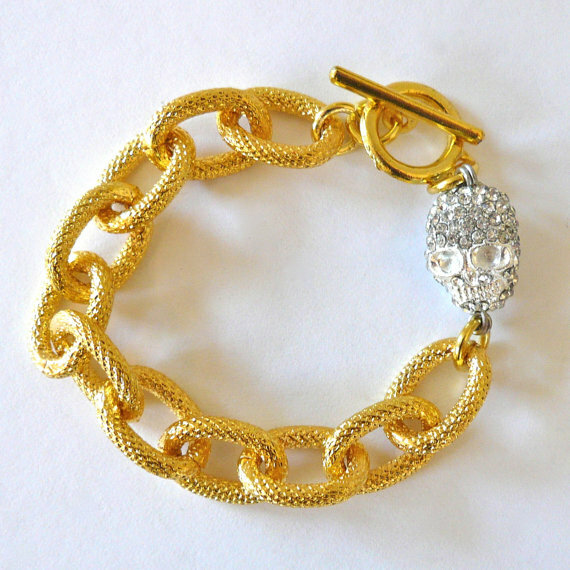 This is a picture of the bracelet you will win! 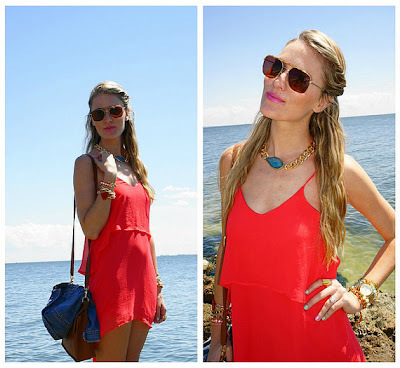 (Not the exact one but similar) Don't you love the hot pink color? Close friends and designers, Elizabeth Schricker and Courtney Alexander first met in Brooklyn, NY while attending art school at Pratt Institute. Now based in Los Angeles, the designers aim to combine the vibrant colors of the ocean, the skies, and the rich landscapes of Greece into unique pieces of modern, elegant jewelry. 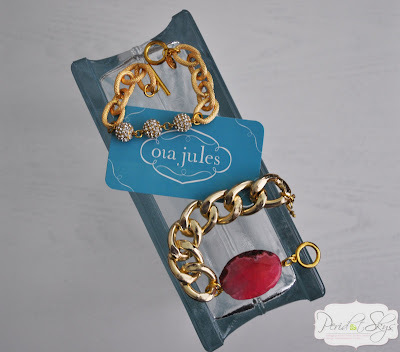 Oia Jules collections feature stunning colors of Agate mixed with gold and silver chains and embellishments. 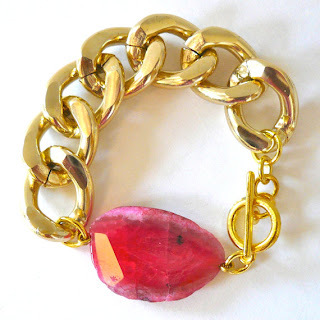 All of the pieces are hand crafted using one of a kind stones. This is one of their more recent designs. Skulls are very popular right now! They even design necklaces. Don't you just love the colors? There is a color for everyone. What is your favorite? So here is how to enter. 1. Follow my blog with GFC. Leave a comment below along with your email so I may contact you back! 2. Follow Oia Jules Facebook page. Say a friendly hello! 3. Follow me on twitter (@peridotskys) and be sure to leave me your twitter name. 4. 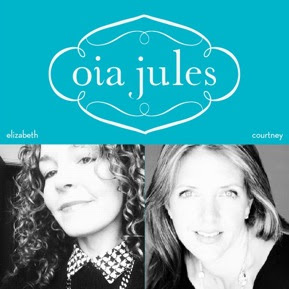 Follow Oia Jules on twitter (@oiajules) and be sure to leave your twitter name. 5. Tweet about the giveaway. Don't forget to leave the url from the tweet in the Rafflecopter form. Use Rafflecopter below to enter (It's super easy) to complete your entries. Good Luck! 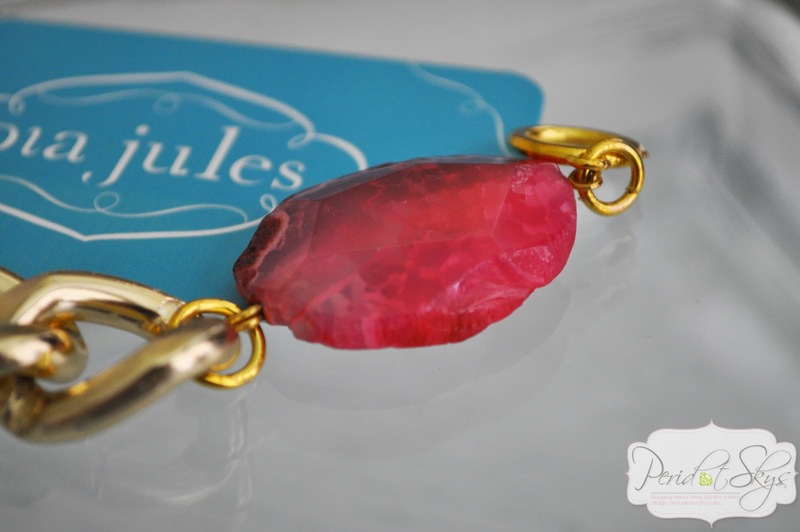 *Update* Congratulations Sarah B. you are the winner of the Oia Jules pink agate bracelet. I just sent you an email. Thanks to everyone that entered. What gorgeous bracelets! 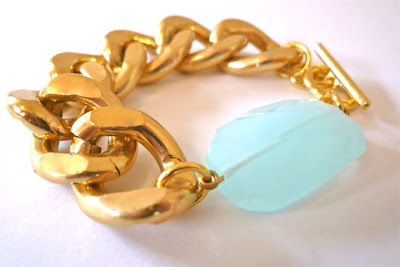 I need more arm candy in my life :) My email is shealennon(at)gmail(dot)com. Thanks for entering Shea. Good Luck! I Do know how! Good Luck! Wow! ALL of their pieces are just gorgeous! What a great giveaway! I would LOVE to win! I love them all too. Good Luck! 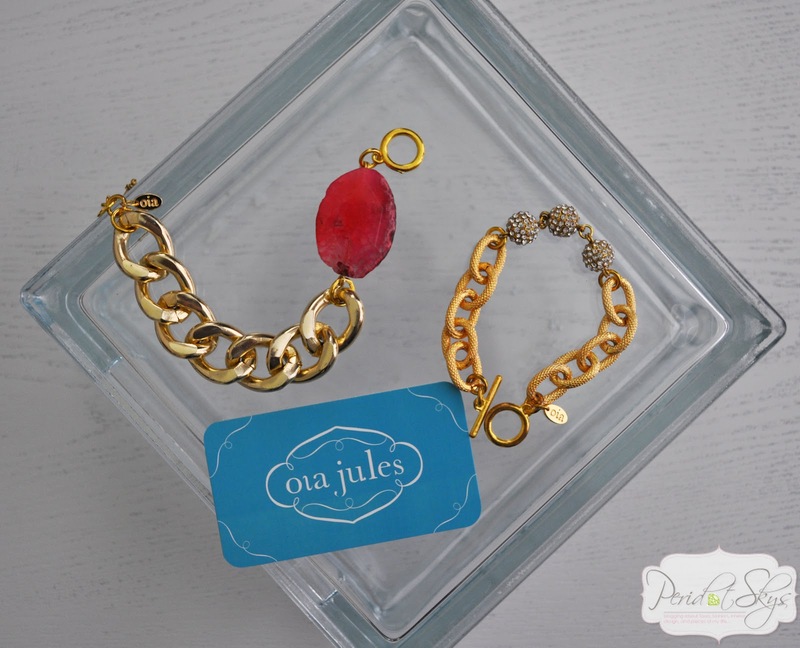 i've been dying over oia jules! love them! thanks for the great giveaway! Thanks for following. Good luck! Wow, those are beautiful pieces! 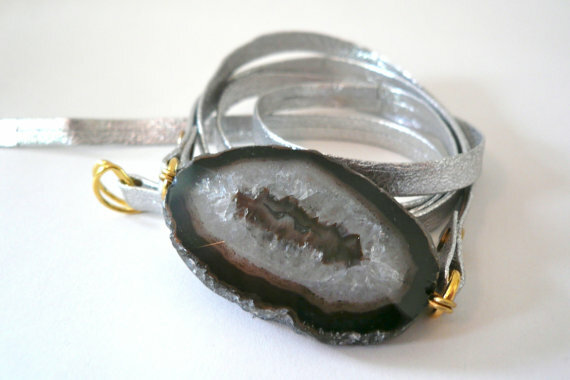 I especially love the agate. They are pretty pieces. Good Luck! Great giveaway! New follower to your blog and twitter! The bracelet is an awesome! awesome giveaway! i have been eyeing their jewelry forever.